Norwegian author Anne Holt writes excellent mysteries set in and around Oslo. Like many Scandinavian writers, she suffers from the curse of being translated out of order and it is left to the reader to try and piece together the story of the characters. This is particularly the case with the series featuring Hanne Wilhelmsen who in the excellent 1222 is suffering from a serious disability. Although it is been sold on Amazon as ‘Hanne Wilhelmsen #1’, it is in fact the eighth book in the series and the Hanne we see in The Blind Goddess is a very different character from the later novel. The book opens with lawyer Karen Borg discovering the dead body of a drug dealer in the street. When a young Dutch student is found covered in blood and charged with the murder he insists on being represented by the woman who found the body. Although not an expert in criminal law, Karen agrees to defend the student although she comes under pressure from the prominent defence lawyer Peter Strup to hand over the case to him. When a shady criminal lawyer, Hans Olsen is found shot days later, Detective Inspector Hanne Wilhelmsen and police attorney Håkon Sand are convinced there is a link with the dead drug dealer. However crucial pieces of evidence keep disappearing and it appears that a conspiracy operating high up in the Oslo legal system is anxious to ensure the case remains unsolved. Although written in 1993, The Blind Goddess had none of the ‘period’ feel you sometimes get with books that are translated long after their original publication. Only in a couple of instances (Karen’s Ford Sierra) were you reminded that this was written before the age of mobile phones and the internet. I thought the mystery element of the book was very well plotted and must have been a strong debut novel for Holt. As you would expect from a first novel, there is plenty of attention given to developing the characters, particularly that of Hanne with her hidden private life and of the developing relationship between Karen and Håkon. Overall I think this is the strongest Anne Holt book I’ve read and it’s good to hear that they are going to be published now in order. The next in the Hanne Wilhelmsen series, Blessed are those that Thirst, is out next year. One slight niggle: the blurb at the back of the book had the wrong name for the dead lawyer – Hansa Larsen instead of Hans E Olsen. Doesn’t anyone check these things? I bought my copy of the book. Other reviews can be found at Eurocrime and Crime Scraps Review. I really felt when reading the enjoyable 1222 that I was missing a lot of background, so I’m pleased the earlier ones are coming out. Yes I agree – I’m looking forward to reading the series in order. Sarah – Thanks for this excellent review. I like the character of Hanne Wilhelmsen and I’m so glad the novels featuring her are going to be published in order. I’m also very glad you liked this one as much as you did. I think Holt does atmosphere well too and it sounds as though that’s well-developed in this one too. Nice to be able to read from the beginning as the author intended. Yes Margot – in this book Holt showed various aspects on Oslo life, from the rural to the urban. It’s a mark of a good read when I decide I want to live there. I, too, really enjoyed this book and so glad you liked it too. I agree with the points you make in your excellent review. I have liked her other series (Vik/Stubo) very much, but was not too taken with 1222, which is one reason to be so pleasantly surprised and impressed by The Blind Goddess. It is fascinating to see what good crime fiction was being written in the 1990s, if only we’d known about it then! Thanks Maxine. I looked at your review after I had finished this one and I thought we agreed on the book’s quality. I didn’t quite get into the Vik/Stubo series so I think I will stick with this one and read them as they are translated. I know what you mean about Scandinavian crime fiction. I’m reading ‘The Fire Engine that Disappeared’ at the moment and I keep thinking, Agatha Christie was writing her cozies while this stuff was appearing in Sweden. I didn’t realise that 1222 was part of a series – I really enjoyed it and am looking for a new series to sink my teeth into and read in order so this sounds like a great place to start. The Fire Engine That Disappeared is excellent, hope you like it! Thanks Marie – I’m enjoying the Sjowell/Wahloo book very much and can’t wait to finish it this evening. I would recommend The Blind Goddess. I’m definitely going to read the series as it gets translated. I liked The Blind Goddess very much and agree with your review. I was riveted. It is very confusing to read the last book — 1222 — and then begin the series. I wish the publishers would translated and published the books in English in the right order. 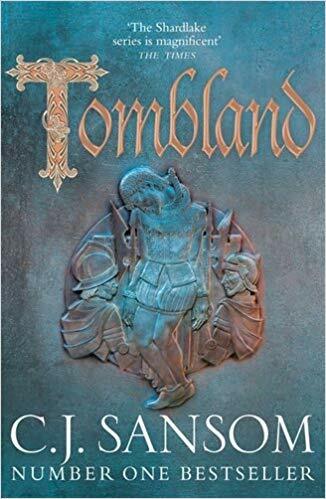 But the interest in Scandinavian mysteries is recent, and since 1222 was the most recent book in this Anne Holt series, I guess they took a chance with this one, and when it was well-received, they decided to start at the beginning. Anyway, I’ll be following the series and hope it lives up to the first one. I was okay with 1222 and I liked Hanne Wilhelmsen, despite her crankiness and eccentricities. However, she was a more compelling character in book I. Life’s difficulties have impacted on her hard so she changed. It will be fascinating to read the interim books. Thanks Kathy – it’s going to be fascinating to see how Hanne gets to where she is in 1222. Six more books until we find out I think. So that’s about six years to find out what happened to Hanne, how she went from being a happy, friendly, healthy woman to being an anti-social, irritable, eccentric woman with a debilitating disability — but always brilliant. That does not change. Anne Holt must be quite a person.